Heineken Lagos Fashion and Design Week tents will open from the 25th – 28th October 2017 with Runway Shows, Fashion Business Series, Fashion Installations and the #HeinekenLFDW After Party. 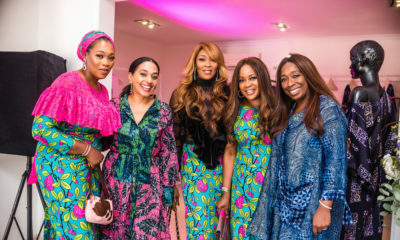 Connecting with over 20 million Pan-African fashion insiders, including designers, buyers, retailers, local and international press in the previous year, the annual event returns for its 7th edition tagged, “Africa: Shaping Fashion’s Future”. The interconnection between traditional African heritage and its re-interpretation into contemporary fashion in defining African fashion as we know it today has been established. This on-going interplay between contemporary fashion in Africa and historic cultural reference points have contributed significantly to shaping the African fashion narrative till date. The future, however, lies in moving the conversation beyond creativity to adding value to the industry. It’s about creating various platforms that provide knowledge acquisition, skills development and job creation for the continent. The future lies in creating an ecosystem of thriving fashion businesses that can impact the African economic landscape. 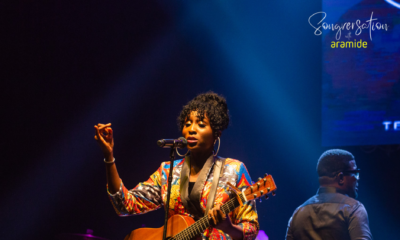 Heineken continues its partnership with Lagos Fashion & Design Week as the headline sponsor. The World’s No. 1 International premium beer brand will continue to push innovative boundaries and create unique and immersive experiences during the course of the 4 days. Heineken LFDW remains committed to catalysing the African fashion industry ecosystem and to providing greater avenues for commercial success for designers based on the continent, through skills acquisition, apparel manufacturing and access to market which we have worked hard to achieve throughout the year via the Style House Files, Nigerian Export Promotion Council led Human Capital Development Initiative, our inaugural Autumn/Winter Presentation and Trade shows – which rolls out in a few weeks. #HeinekenLFDW this season kicks-off with the Fashion Focus Tour and HLFDW Fashion Focus Scouting. 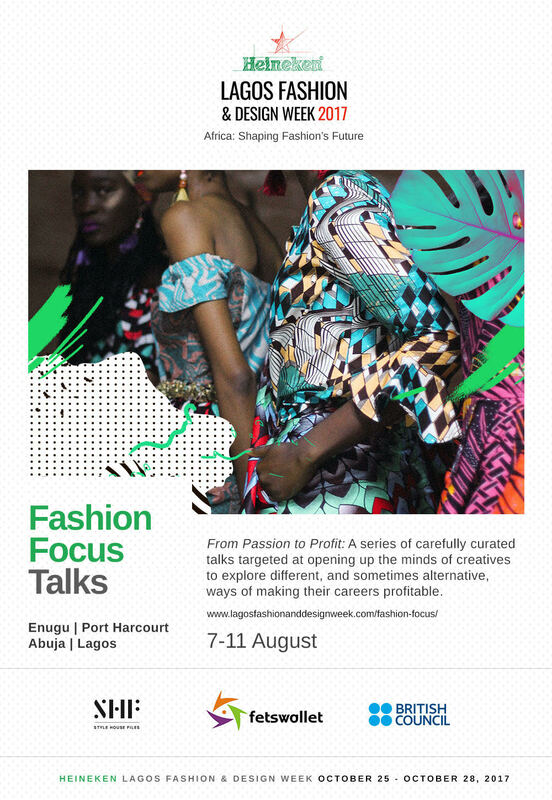 Fashion Focus will commence this season by hosting a series of informative talks facilitated by established creatives across Lagos, Enugu, Port Harcourt and Abuja. Targeted at aspiring and emerging fashion entrepreneurs between the ages of 18 – 35, with a vision to support the professional development of emerging fashion talent in Nigeria. The seminars, themed – “From Passion to Profit” feature carefully curated talks targeted at opening up the minds of creatives to explore different, and sometimes alternative, ways of making their careers profitable. Based on the success of the 2016 – 2017 Fashion Focus programme, HLFDW Fashion Focus scouting will continue to take the form of a competitive open process aimed at selecting 5 Fashion Focus candidates. In line with HLFDW’s role to create a platform for exchanging ideas, networking and developing the African fashion industry, Fashion Business Series will host its 5th season featuring conversations with key stakeholder’s representative of crucial sectors within the current African Fashion ecosystem. The “Queen of Style” Visits Nigeria – Here is Why We Fancy The Duchess of Cornwall’s Style!